On the island’s southeast coast, 3 km from Perissa, is Perivolos beach. A wonderful endless beach, ideal when north winds are blowing, Perissa is perfect for lovers of beach bars and music – the fun starts at midday and goes on until the sun goes down. 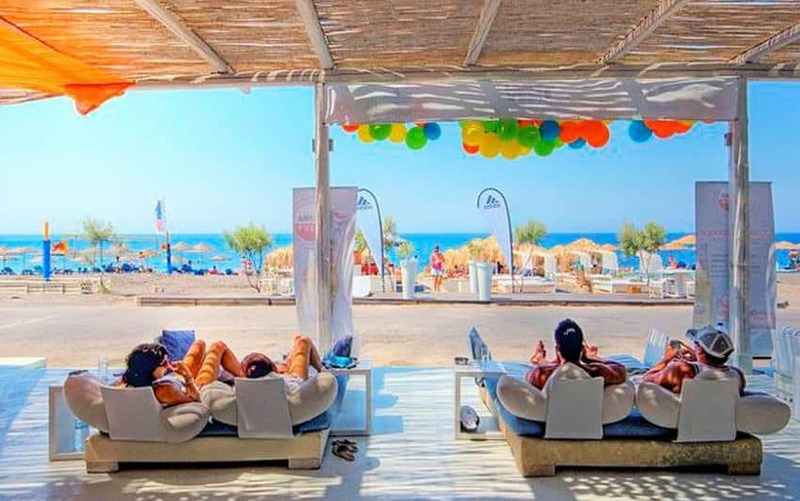 Perivolos combines a “day club scene”, an extension of Santorini’s nightlife, with beach bars playing club music, DJ guest appearances, beach volleyball tournaments and various happenings. 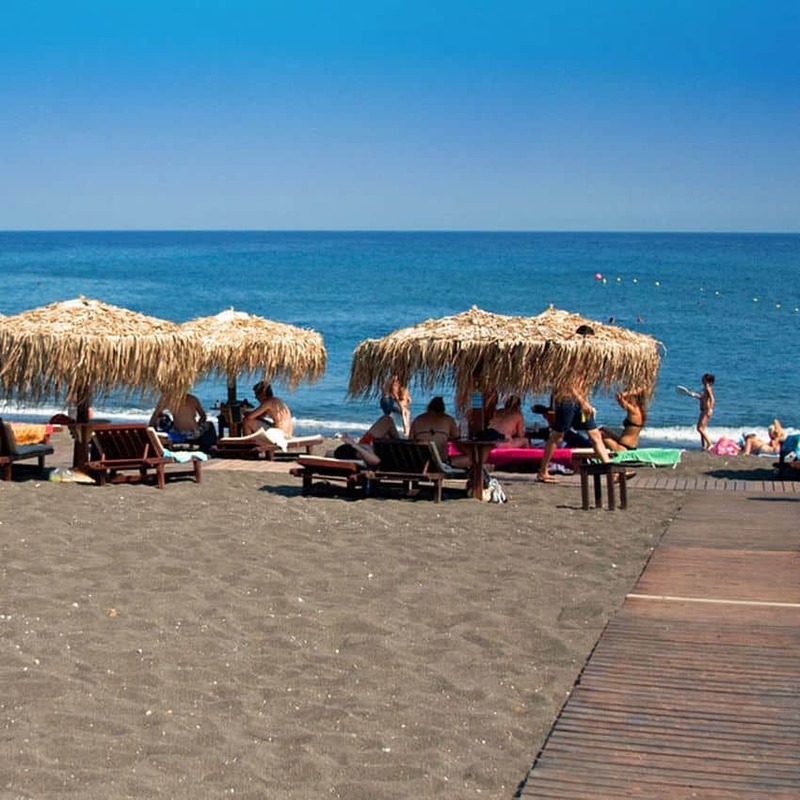 The beach is well organized with lifeguards, sunbeds, umbrellas, restaurants, taverns, cafes, bars, supermarkets, showers, public toilets and a playground. Description: Perivolos is the longest black sand beach of Santorini with a sandy sea bottom for the most part, although here and there one will find pebbles and submerged rock.